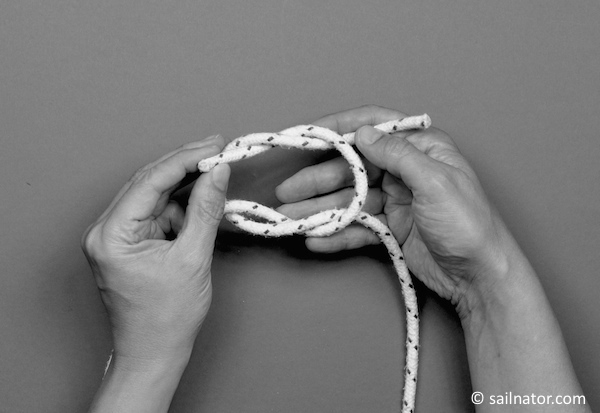 In this post I show how to tie the square knot with words, images and on video. We can attach two lines of the same strength with it. … and pull through one end underneath the other. For the next step it is now important which of the lines was lying on top of the other at the beginning. I just check it. The end of the line that I now hold in my right hand was lying above. I take it, put it over the other line again, get it with my right thumb and wrap both lines around each other. I now pull on all four parts of the lines at the same time und the square knot is finished. The knot is tied right when both ends of the lines are on the same side. 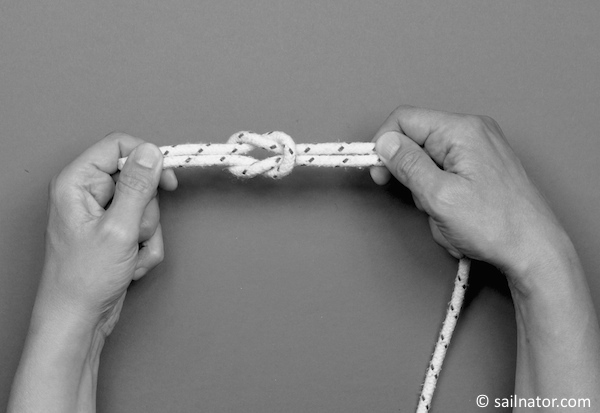 If not it is not the square knot. It opens up easily. It is even important that the line that was lying above first lies on top the second time too. 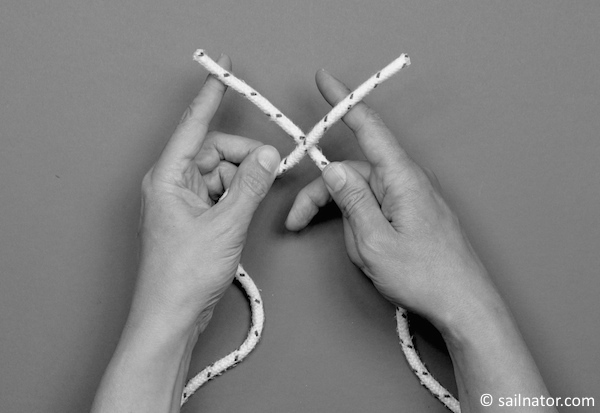 We can open the square knot by holding one of the connected lines and pull the end that is parallel to it. 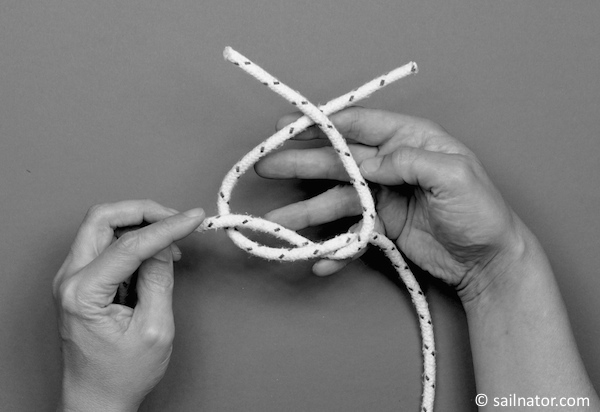 That even works if the knot was pulled together very tight over some time. 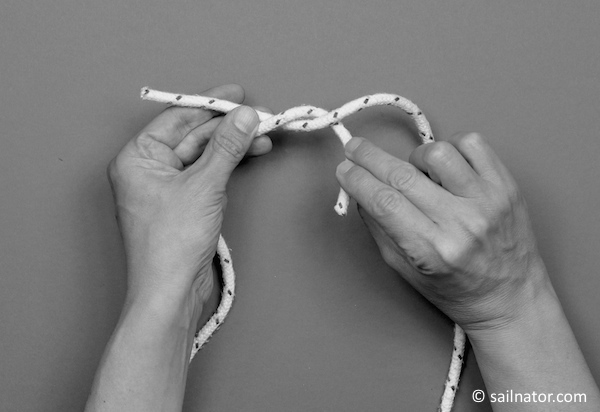 Practice the square knot till you are able to tie it with closed eyes or behind your back.